In order to enroll in a Italian language course, students who do NOT meet the exemption criteria below must take the placement test. You know some Italian (e.g. you studied Italian previously, or Italian was spoken in your family, or you can read and write some Italian) and wish to take a UK Italian course OR want to be placed out of the language requirement at UK. You participated in an Italian Language Study Abroad Program with the UK Education Abroad Office. You participated a study abroad program with institutions other than the UK Education Abroad Office. You must take the test if you wish to take a UK Italian course when you return. You are a heritage speaker of Italian, attended K-12 in the United States, and would like to place out of the foreign language requirement of a given college at the University of Kentucky. You do not know any Italian and wish to take an elementary Italian course (i.e., ITA101). You have a high school or college diploma from a country where Italian is the official language, you are coded as International Student by Office of the Registrar, and you do not want to enroll in a UK Italian language course. Native speakers are ineligible to enroll in UK Italian language courses. If you are not coded as International Student by the Registrar's Office and believe you should be, please contact the Registrar at 859-257-3161. What if I want academic credit for my Italian knowledge? You do not need to take the placement test. You should take special department exams for credit. Please note that elementary Italian credit (ITA 101-102) is not available on the basis of a special examination. Credit is only provided for ITA201 and ITA202 (http://www.uky.edu/Registrar/priorlearn.htm). 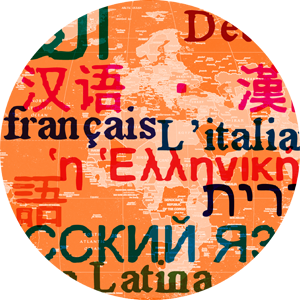 Native speakers of Italian may not take the special examination for Italian language credit. Please contact Professor Ioana Larco at ioana.larco@uky.edu to arrange to take a placement test in Italian. The test result is valid only for one semester. If you do not enroll in the Italian class the semester you take the placement test, you must take the placement test again if you decide to enroll in a future Italian language class.